If the condition has enable you can continue the farther upstream journey, hence the interesting place, which can be visited after Long Iram is Datah Bilang. This area is Dayak Kenyah tribe public region who believing in Protestant Christian moving to this area in 1970 from their area before in Apokayan. 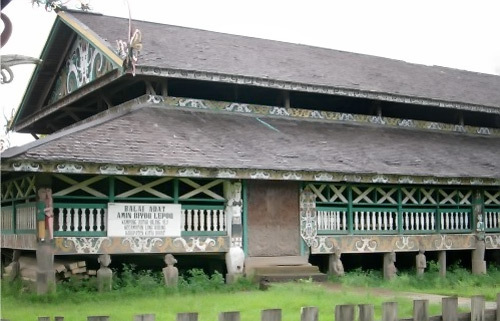 The Dayak Kenyah woman in this place have long ear because decorate by a decoration as ballast.